Joel Johnson gets a substation? Hmmmmmm… CapX routing application for the “Brookings” line is in, and I’m downloading the maps (takes forever). A hunch has been confirmed… remember Joel Johnson, who in 2002 ran for House District 25B but David Bly, now Rep. David Bly, got the nomination, and then Johnson was Bly’s Treasurer? Joel Johnson who was House DFL Caucus Dir. of Communications? Joel Johnson who I saw lurking with a few others near the skyway between the PUC and Commerce and who is now working with Carolyn Sampson, lobbying for Minnesota Rural Electric Association? Ask Joel about the first house on the left (east) just north of “HM30” at the bend in the route (and intersection with the Wilmarth line), the owner of that house and the land surrounding it! 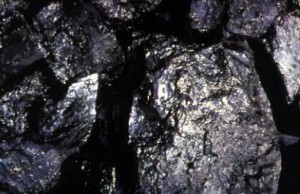 Freshman State House Representative Ken Tschumper recently took aim at the CapX 2020 project observing that ―throughout the CapX process, we have discovered that the power lines are not needed, the utilities have failed to let the public know the impact on ratepayers and they are locking us into coal-fired generation. 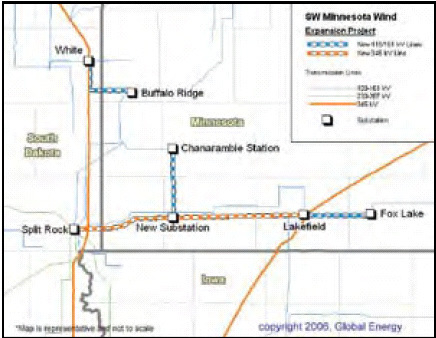 The proposed lines are simply a way of getting coal fired generation to feed Milwaukee and Chicago. The LaCrescent DFL member harping that the CapX transmission effort, which largely will deliver wind generation, was not adequately chatted-up is notable. To date CapX 2020 has held 13 joint meetings with the Minnesota Department of Commerce in nine locations and hosted more than 100 open houses for the public to learn more about the project. The PUC also held 13 public hearings where landowners could submit verbal or written comments directly to the Administrative Law Judge overseeing the case. Additionally, CapX 2020 representatives have briefed county commissioners in each county the project could impact, briefed reporters at every newspaper within the project corridor (more than 90 papers) and sent at least five newsletters (many of which included information on public meetings and open houses) to every landowner within project corridors along with more than 210,000 letters sent to potentially affected landowners. Tschumper‘s revision is similar to believing Bobbie Gentry‘s 1967 Ode to Billie Jo that, instead of jumping, Billy Jo Macalister‘s otherwise sure footing eluded her on the Tallahatchie Bridge when she took a header. And will someone explain to me why Greg Davids is listed as the Rep. for 31B on the legislative site? EEEEEEEEEEUW, I thought we had seen the last of him, but now Rep. Ken Tschumper is nowhere to be found… I cannot believe, do not want to believe, that Davids won the election. AAAAAAAAAAAAAAGH! Why is it that with a project that could potentially affect 70,000 people from the Dakotas, through Minnesota, to Wisconsin, when the first CapX2020 document was filed in 2006, I have only heard of it just in time to stand before an administrative judge to give testimony that we neither need, nor want CapX2020 in residential and agricultural areas in Goodhue County? Why is it that Xcel, Dairyland and nine other utilities have united in one group (CapX2020) so they only need to bypass the checks and balances (contained in the law to safeguard our freedom) ONCE, rather than the many times they’d have to do so separately if they were not in a combined group; and why is it that our legislature who’s supposed to be the voice of the people has given these same power companies exceptions to the statutes that are on the books for everyone else except the utility companies? Why is it that after giving testimony in front of that same administrative judge that has yet to make a determination on whether we need the project, I am attending public meetings hosted by CapX2020 to determine the route of the project whose certificate of need has not yet been approved? Why is it that when I attended those same public meetings and talked to someone in a leadership role to determine routing for CapX2020, that he said he had no idea – he was not aware there were so many houses in our area that may be affected by that route? It makes you wonder what else he was not aware of! Why is it that I need to lose sleep at night worrying about the potential health hazards to my children and family that may result from CapX2020 being routed through a residential and agricultural area, when I live on a small dirt road with seven houses on it off the main highway, and I don’t live on a major state road or interstate highway that is already zoned for uses like the CapX2020 project? CapX2020 is an unnecessary, huge power line that carries 345 kilovolts, 10-20 times normal power lines, which may be proposed to be doubled to 690 kilovolts in the future. The poles are over 15 stories high (170 feet) and will be visible for miles. Until electro magnetic field (EMF) exposure is proven safe, stop exposing citizens to potential risk, and don’t put it in residential and agricultural areas. Why is it that when I chose to live in Goodhue County (an area that’s well known for its protective stance for agriculture, and its proud support of many of our longtime residents whose families have been in this area for many generations), I need to fight against the CapX2020 project that may jeopardize those same agricultural interests and families that work so hard to feed mine? When evaluating the need for new high voltage power lines, Minnesota statutes require analysis of the direct and indirect economic impact of proposed sites and routes including, but not limited to, productive agricultural land lost or impaired. Why is it that myself, and other property owners who are similarly affected, need to work so hard to inform others in the area of the potential damage to property values resulting from CapX2020, rather than have citizens in every township so affected join forces in a united voice against the project that’s impossible for CapX2020 to ignore? No matter where we live in between Hampton and LaCrosse, let’s join forces in a united voice against a project that puts high voltage power lines in residential and agricultural areas and not on existing industrial rights-of-way. 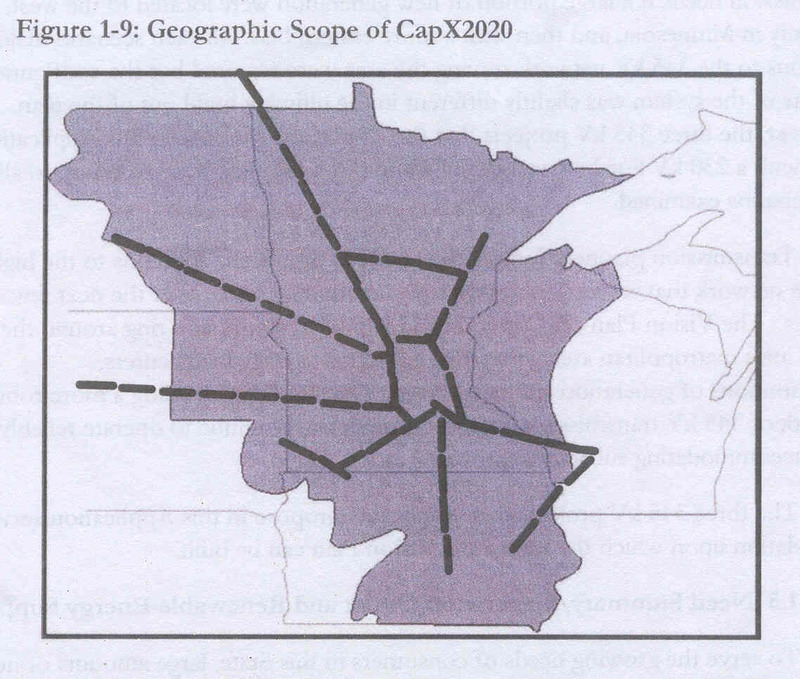 The next meeting is tentatively set for JANUARY to inform the public as to the recommended route that CapX2020 will be submitting to the Minnesota Public Utilities Commission. Check out the web site at www.capx2020.com for scheduling and specific route information. CapX2020 IS AN UNNECESSARY, HUGE POWER LINE THAT THREATENS OUR HEALTH, AGRICULTURAL LAND, AND PROPERTY VALUES. ATTEND THE PUBLIC MEETINGS ON THE CapX2020 PROJECT and help us assist CapX2020 and the Minnesota Public Utilities Commission in making an INFORMED CHOICE when considering WHERE these 15-story power lines may be built as they travel across Minnesota and into Wisconsin. … sigh… it’s sounding like CapX’s press release! Need more info! This was the “final cut” of a much larger group of transmission projects studied in the late 90s by the greatest and biggest and bestest group of transmission engineers ever assembled between the covers of such a small little study — which “studied” a dozen or more transmission projects to see which would be the “be all and end all” of transmission, and of them, they selected that ONE project to be built — 3j, the Arrowhead transmission line. Well, since then, most of the others proposed then have been applied for, so much for the be all and end all. WIREs is back, but it’s different. What’s fun about it, though, is that it explains the philosophy behind CapX 2020 and all the regional transmission they want to build. The new WIRES is WORKING GROUP FOR INVESTMENT IN RELIABLE AND ECONOMIC ELECTRIC SYSTEMS. The creation of WIRES is a response to a growing need for transmission infrastructure investment and the related need to highlight policies essential to support that investment. Getting the right policies in place depends on viewing transmission as (1) integral to an efficient wholesale power system, (2) critical to effectively functioning markets, (3) a way to bring choice, fuel diversity, and system flexibility to power markets and customers, and (4) an area where investment in new technologies can often expand the capacity or efficiency of the grid without siting new linear facilities. Why isn’t transmission getting the financial backing it needs? And how will WIRES help improve capital attraction for transmission? Transmission is becoming a more attractive investment but there are regulatory and execution risks that are slowing the infusion of capital needed to keep pace with the foreseeable increases in electrical demand and the competition for customers. Transmission investors need a more certain risk/reward equation when it comes to cost allocation, rates, and the siting of facilities; they too often conclude that they should invest elsewhere when faced with tying up resources for years in a process with an uncertain financial outcome. This is simply not acceptable; the stability and reliability of the electric grid is critical to the quality of electric service and the success of regional economies. WIRES will emphasize the broad benefits of transmission: facilitation of regional markets, the critical link to renewable and other remote energy sources, high levels of reliability, and efficient use ofexisting generation capacity. Decision makers need to recognize that transmission costs represent only a small – less than 10 percent – portion of customers’ electricity bills. 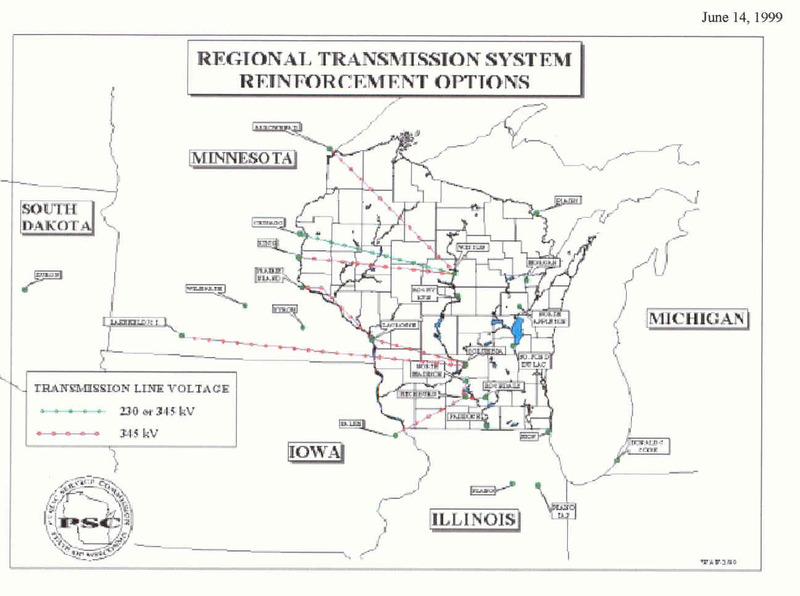 The legislative changes in Minnesota included addressing the issues of regulatory lag in cost recovery for investor-owned utilities, giving regional reliability and the electricity market due consideration in the certificate of need process, placing all transmission permitting within the purview of a single state agency and allowing for the transfer of transmission assets into a Transco if deemed in the public interest by the Minnesota Public Utilities Commission. Merry Xmas and a lump of coal for CapX 2020. They’re in the South Metro section of the STrib today, as if it’s just a South Metro project — where’s the West Metro, North Metro, and Greater Minnesota reports? I think that means it only goes into print version sent to certain “South Metro” areas, and this deserves much wider coverage. The article says response is “muted.” Hmmmmm, muted by what? There are two Intervenors in the Certificate of Need proceeding saying NO to CapX2020, NoCapX and U-CAN. Time to let David Peterson know what you think about CapX 2020! The companies say today’s power lines do not affect farming much at all: There’s a single slender pole, and farmers can plow right up to it. They are seeking to follow roadways and the like as much as possible to minimize the annoyance. Some landowners will consider it a holiday gift of sorts: There is a one-time payment for a 150-foot-wide easement. The companies won’t give even a range of dollars, saying there are too many unknowns, including how much of a person’s land is affected. The companies will file a permit request by early January naming a specific route. There will be public meetings this winter. A judge will preside over preliminary proceedings, and the state’s Public Utilities Commission will hold hearings in mid-2009, issuing a decision by late next year or early 2010. 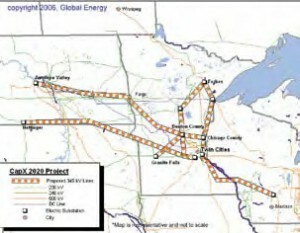 The utilities involved in the so-called CapX 2020 project have an extensive website full of maps, photos and other background information at www.capx2020.com. Questions to: brookingsinfo@CapX2020.com or 1-888-473-2279. No CapX 2020 in Warsaw, Stanton and Holden Townships! NO CAPX 2020 IN MINNESOTA!!! That’s the cheer we want to hear! A crowd of over 60, many sporting “No CapX2020 in Warsaw, Stanton and Holden Township” stickers, showed up at an informational meeting in Cannon Falls on December 11, to voice concerns over the proposed new high voltage power line running from Hampton to Rochester and on to LaCrosse. CapX2020 is a joint initiative of 11 regional utilities to expand the electric transmission grid by 2020. An application for a certificate of need is currently before a judge in St. Paul, with a decision possibly expected in January. The application includes proposals for a 200 mile, 345 kilovolt (kV) transmission line from the Brookings, SD area to a proposed new substation just north and east of Hampton (this line would be bringing power from coal plants in South Dakota as well as new wind projects in southwestern Minnesota), a 250 mile 345 kV line between Fargo, St. Cloud and power plants in Monticello, a 70 mile 230 kV line between Bemidji and Grand Rapids and the 150 mile, 345 kV line between Hampton and Rochester, linking to LaCrosse. The utilities cite studies showing expected growth and increase in customer demand for electricity as the reason for the project, which could cost close to $2 billion in total. They have targeted construction for 2012-2015. Opponents of the project, like the Citizens Energy Task Force, led by Bev Topp of Eureka Township, have testified the need is not clear, especially for the line to Rochester-LaCrosse and that a weakening economy, conservation efforts and new technologies all should be considered in the 2020 planning process. 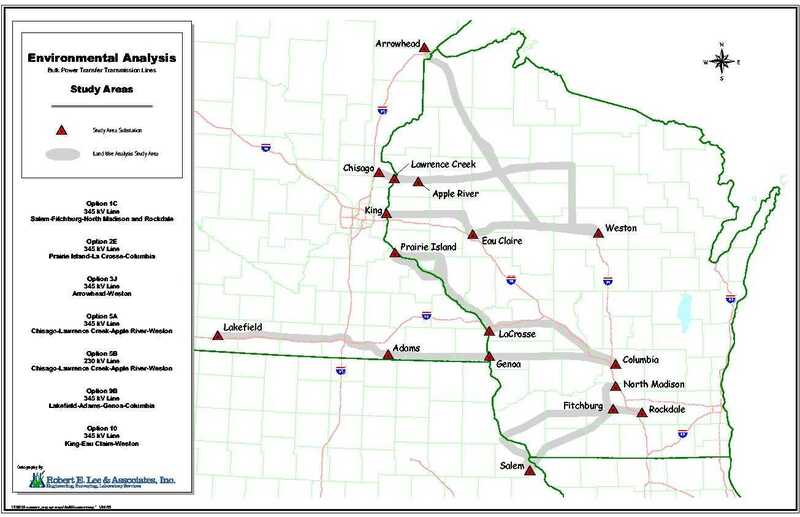 While the certificate of need is still pending, Xcel Energy spokesman Tom Hillstrom says the CapX2020 group is confident the need has been proven and has moved forward with the process for identifying possible routes for the power lines over the last year. It was the recently released CapX2020 plans showing five specific possible routes for power lines between Hampton and Zumbrota with four out of five near Highway 56 and only one along Highway 52 that got local township residents concerned. “Why they wouldn’t locate it along Highway 52 is beyond me,” said Warsaw resident Greg Soule, an attorney in the Twin Cities, who helped organize the township residents’ opposition. Soule says placing 170 foot high towers every 1,000 feet will drastically alter the rural character of Warsaw and the other townships. “They are bringing the city to us. If I wanted to live in a business or industrial area, I would have bought property along 52,” said Soule. To see the detailed maps of proposed routes, go to www.capx2020.com. The Citizens Energy Task Force has a site at www.cetf.us with its case presented. 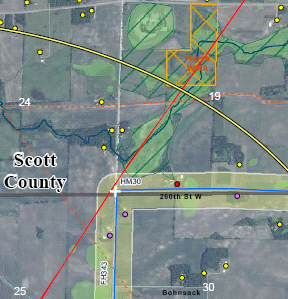 Included are incoming routes for the South Dakota line from the west into the proposed Hampton substation. One route comes in west of Hampton on 240th Street, zigzagging to 220th Street and passing the city of Hampton to the north. Another route comes in west of Randolph, along Highway 86 and 290th Street before heading to Hampton via Highway 47, passing Hampton to the south and east. The maps from Hampton to Zumbrota are more convoluted. 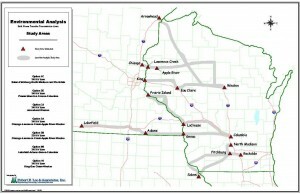 Besides the options of Highway 52 to Zumbrota and a couple of routes in the Highway 56 and Highway 60 corridors that would lead into Zumbrota, a number of possible crossing routes from Highway 56 to Highway 52 are shown, including Highway 19 and two crossings south of 19. Hillstrom said they are eager to gather as many comments and concerns as possible on proposed routes. 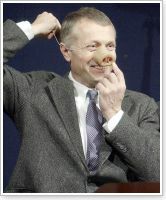 Blogging has been a lot less fun without Steve Sviggum as Speaker, but wait… he may be back in the news! CapX 2020 route proposals are roaring through Kenyon and could be going over his land! No… drat… it misses him by about half a mile to the east and the same to the south… But remember, we have him to thank for the 2005 Transmission Omnibus Bill from Hell (Ch. 97) that changed transmission criteria, gave them rate recovery for “Construction in Progress” and authorized “transmission only” companies, a la Xcel’s failed TRANSLink. Yup, it’s time for Briefs again. Mine’s awfully lame, other stuff like making a living, was a competing interest, and then there’s lack of access to transcripts… aaaarrrgh, but there we are… maybe the Reply Brief won’t be such a struggle. If NoCapX has newly discovered evidence, that is, new forecasts that it has run based on substantiated new information that was not available at the time of the hearing, it may make an offer of proof, and the evidence will be added to the record and forwarded to the Public Utilities Commission to consider if it chooses to do so. 1. The Motion for Limited Discovery and to Reopen the Hearing is DENIED. 2. NoCapX may file an offer of proof if it has newly obtained evidence that calls into question the Applicants’ peak demand forecasting. The offer of proof will be included in the record and forwarded to the Commission in the event that it chooses to review it. Yes, it’s baaaaaaaaack! It’s the Power Plant Siting Act Annual Hearing and Potluck. It’s from 10:00 a.m. to high noon only, no evening session, so this is it! Bring your Comments, your critical thinking cap, and a dish to pass! Bring your own plate and silverware so we can make it nearly ZERO WASTE! NOTICE IS HEREBY GIVEN that the staff of the Minnesota Public Utilities Commission will convene the annual public hearing on the Power Plant Siting and Transmission Line Routing Program from 10:00 to 12:00 a.m. on Tuesday, December 30, 2008. The annual hearing is intended to advise the public of matters relating to the siting of large electric power generating plants and routing of high voltage transmission lines and to afford interested persons an opportunity to be heard regarding any aspects of the Commission’s activities, duties, or policies pursuant to the Power Plant Siting Act, Minnesota Statutes section 216E.001-.18, or its Power Plant and Transmission Line Siting Rules, Minnesota Rules chapter 7849.5020 to 7849.6500. At the hearing the public will be afforded an opportunity to be heard through the presentation of oral or written statements. Written statements may also be submitted for inclusion in the annual hearing record by delivery to the Commission’s offices at the address above by the close of business on January 31, 2008. The staff recognizes that the time and location makes it difficult for all interested persons to attend, and emphasizes that written comments are encouraged and will be given equal consideration. Direct all inquiries and written comments regarding the annual hearing to: Bob Cupit, Phone 651-201-2255, email: bob.cupit@state.mn.us.